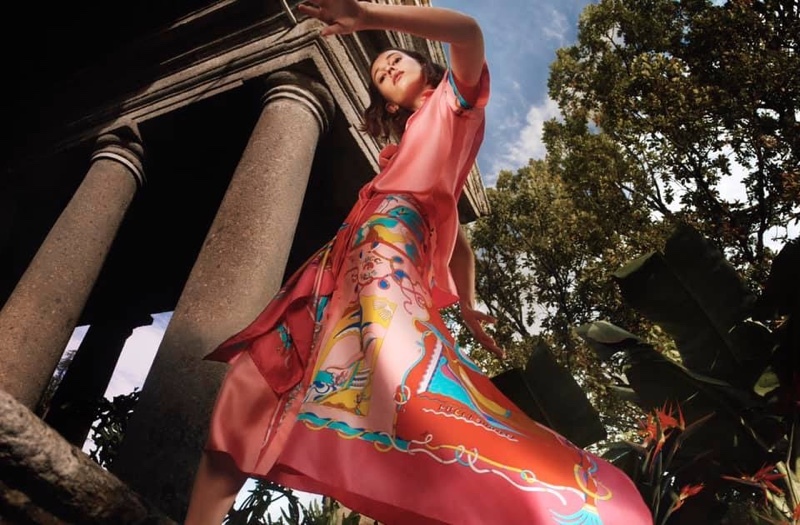 Italian high-end fashion brand Emilio Pucci goes tropical for its Spring/Summer 2019 Campaign, and enlists Australian model Mali Koopman. Showing off its bright and chic designs, the 21 year old is photographed in beautiful images by Mark Peckmezian. The pretty brunette wears an array of pretty colours, loose-fitting skirts and button-up blouses, and adds to them statement bags, all styled on her by Emilie Kareh. With the creative direction of Al Dente Paris with hair by Paolo Soffiatti and Nami Yoshida on makeup, Mali catches the eye and shines for the shoot.